After a year and a half battle with cancer, Cheryl Lee Walker has returned to live with her Father in Heaven and has been reunited with her mother, sisters and granddaughter. She was born in Whittier, California on August 2,1952 to Bill and Jewel Leslie and died May 2, 2017 in her home of 42 years in Mesa, Arizona. Cheryl moved to Mesa in 1964. She attended Hawthorne Elementary School, Kino Junior High and later graduated from Westwood High School in 1970, where her sophomore year she met the love of her life, Randy Walker. They were married and sealed in the Mesa Temple in 1972. Cheryl had an infectious laugh and was loved by many. She served others faithfully until her last day. 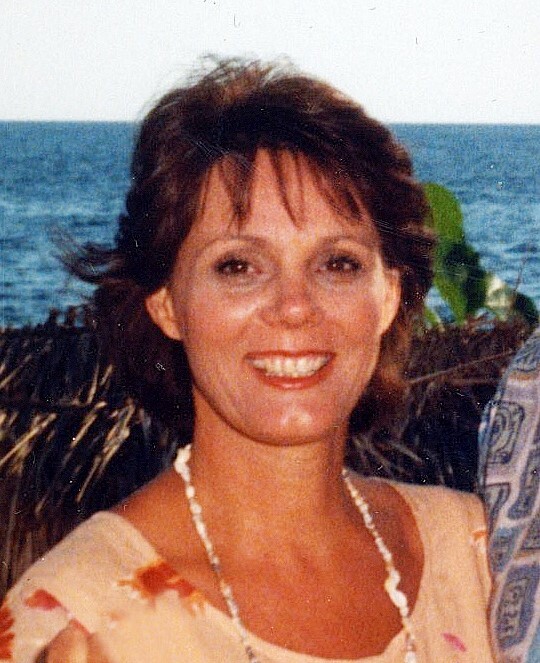 She loved to travel, and worked for American Airlines for 15 years. Her greatest joy was spending time with her family, especially her grandchildren. Cheryl was a grandma to all and showed a genuine love to everyone that entered her home. Cheryl is survived by her father, Bill Leslie; husband, Randy Walker; children, Jennifer Walker, Stacey (Chad) Ence, Scott Walker, Jill (Jason) Wright, Troy Walker; and grandchildren, Colton, Mackenzie, Cannon, Cade, Kylee Ence and Nixon, Hudson and Stella Wright. She was preceded in death by her mother, Jewel Leslie; sisters, Denise Packer and Diane Leslie; and granddaughter, Madison Ence. A visitation will be held Friday, May 12, 2017, from 6-8 PM, at Bunker’s Garden Chapel, 33 N. Centennial Way, Mesa, Arizona. Funeral services will be Saturday, May 13, 2017, at 10 AM, at The Church of Jesus Christ of Latter-day Saints, Mesa East Stake Center, 2228 E. Brown Road, Mesa, Arizona. I am so sorry to read of your loss and I extend my condolences to the entire family. This promise from Jehovah god has brought me much comfort and I hope it does the same for you. Psalm 34:18 says: Jehovah is close to the brokenhearted; He saves those who are crushed in spirit. May you be comforted by his words during your time of bereavement. My dear sweet Cheryl…..i loved you so much. Went thru Jr high and high school together. Such fun memories! Loved going to listen to randy and the beau geste. Wonder we didn’t go deaf…. lol Years later when we moved back to AZ and ended up in 18th ward with you and Randy we picked right back up. So many fun crazy memories of raising our kids in the best dang neighborhood.!!! Say hello to John and also Matt Besse. I’m sure you’re having a great reunion with your loved ones. I will always treasure our friendship. Randy, I’m so sorry you’ve lost your sweetheart for now. We love you and your awesome family! You have all you could to your family and just think of all the fun vacations you shared!!!! To the family and friends of Cheryl, especially to Randy, I am so very sorry for your loss. You were the perfect couple for as long as I can remember. Cheryl is a bright shining star in the heavens watching over you and her beautiful family. My heart is heavy for you all. You are in my thoughts and prayers. God’s blessings to you all. I’m so sorry to hear of Cheryl’s passing. I was looking at our high school yearbooks tonight, thinking about her. She was such fun and always had a great smile! I know that she’ll be greatly missed. Prayers of comfort for her family. Sorry to hear of Cheryl’s passing. Since we have moved from 18th Ward, didn’t even realize she had been sick. Our prayers and thoughts are with all of the family. Cheryl had the most beautiful smile and glimmer in her eyes. She made life fun being around her. We will all miss her. I’m sorry for your pain Randy. Please know those sweet memories will always remain with you until you can be with her again. In the meantime, there’s lots of joy and goodness around you. My heart breaks for the sorrow that you are feeling at this time. May you find comfort in the knowledge of the plan of salvation and that life is eternal and families are forever. You & your sweet family are in our thoughts & prayers Randy. We can hear Cheryl infectious laugh as we envision her smiling face & bright twinkling eyes. May you all be blessed with the knowledge that Families Are Forever & comforted by the Holy Spirit of Promise. May God Support & Bless you all at this time..